After all the harsh warnings about getting skin cancer from tanning beds, I find it quite alarming to discover the statistics of just how many teenagers continue to use these indoor tanning salons. When you get down to the hard facts we're given, there are 2.3 million teenagers or more in the USA alone using tanning beds, just to get a tan. Notably this is seen in preparation for the Spring prom season and formal college events. The worst part for me is that we are being told that melanoma is actually the commonest form of skin cancer in the 25 - 29 year old age group, plus the second most common in the 15 - 29 year old age group and yet the warning message doesn't seem to matter. On May 6, 2013, the U.S. Food and Drug Administration (FDA) issued a proposed order aiming to reclassify ultraviolet (UV) tanning devices as moderate risk devices. i.e. class II. This will also require warning labels about the dangers associated with tanning bed use, including skin cancer from tanning beds, in any promotional material as well as on the actual tanning device. One of the main purposes is to alert young people to the dangers associated with their use, but there are many adults that need this information too, in my opinion. The FDA UV radiation specialist Sharon Miller, said that they "don't recommend using tanning beds at all, but we know people do use them so we want to make them as low-risk as possible". It's just a pity this wasn't finalised before the 30 million people that use tanning beds in the USA annually, head off to tanning beds to prepare for their spring break. Tanning bed allure - the perfect tan! A tan results from injury to the skin's DNA and so the skin darkens in an imperfect attempt to prevent further DNA damage. 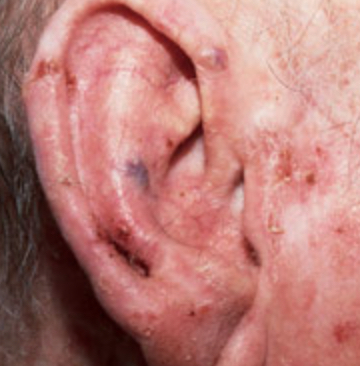 These imperfections, or mutations, are what can lead to skin cancer. UVB rays are shorter than UVA Rays and are the ones that cause your skin to burn. While the early forms of tanning bed lights used UVB bulbs, the concern that customers would get burned by these short wavelengths caused the manufacturers to switch to the UVA bulbs. Far more subtle and the one that provides the tan anyway, BUT causing deeper damage to the skin. So while it's true you may be less vulnerable to receiving a bad burn in the tanning booths, your skin is receiving far deeper UV damage. 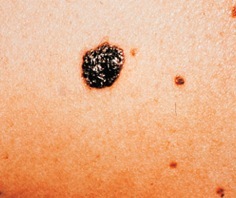 1.5 times more likely to develop basal cell carcinoma. Let's understand though, both UVA and UVB rays are responsible for skin cancer, including the deadly melanoma. However, UVB rays are the ones that create Vitamin D through your skin, but as they also make you burn, it is very important to restrict your exposure. Tanning beds however, provide you with very little Vitamin D benefit if any at all. Anyone using tanning beds and tanning booths should be aware that there is currently no regulation to govern the type or strength of UV rays that sun beds give out. Even brief use may carry some risk, particularly for people who have fair features, freckles, lots of moles or damaged areas of skin, as skin cancer from tanning beds becomes a very real risk. One of the first things to understand when choosing to use any UV tanning equipment that includes tanning beds, sunlamps and tanning booths, is your skin type. Knowing this will help you to manage your time exposed to the UV rays a little more carefully, especially the dreaded skin cancer from tanning beds. If any of the above points apply to you, using any tanning devices is high risk and to be avoided if you want to steer clear of skin cancer from tanning beds. According to Perry Robins, MD, of The Skin Cancer Foundation, "The damage caused by the ultraviolet (UV) radiation from tanning beds and the sun is cumulative and often irreversible, and the earlier people start to tan, the higher their risk of developing skin cancer in their lifetimes." Further to this, he stated that melanoma risk will increase by as much as 75 percent if people start indoor tanning before the age of 35. It was this very statistic that persuaded The World Health Organization's (WHO) cancer division to list tanning beds as definitive cancer-causers, after long believing them to be "probable" carcinogens. Skin cancer from Tanning beds: can Melanoma scare the youth? The trouble with being young and invincible, is that no-one really believes they will be the one to get skin cancer from tanning beds. If the threat of the deadliest form of skin cancer, the melanoma, does not seem to deter the youth today, one would think that the fact that tanning accelerates the signs of ageing, including wrinkles, leathering and fine lines, certainly won't raise sufficient alarm bells! However, perhaps the one motivating fact behind the desire for a tan - vanity and being 'fashionable' - may acknowledge the wrinkle evidence that is seen as early as in their twenties and want to do something about preventing it? Skin is seen to be really healthy when naturally radiant, luminous and pale. There are also many people sharing their story with the world in the hope that the younger generation will take a more serious attitude towards skin cancer from tanning beds. Katie Donnar, at 17, was dismissive of the dangers of getting skin cancer from tanning beds, until her participation in the Miss Indiana pageant, when she discovered a growth on her leg. It was an early-stage melanoma, the most dangerous form of skin cancer, that she managed to treat early enough before it had spread. Although unable to prove that the tanning beds she had used since in sixth-grade, when she used them almost every other day during parts of high school, and eventually owned one, she believes they are most likely to blame. "It seemed somewhat of a myth that I was putting myself at risk. The warning label was so small, with nothing that made me stop and think that this was real" she said. Donnar's new lifestyle includes using spray-on tanners for pageants and such, but mostly she's called 'snow princess' now, but says she feels a whole lot more comfortable in her own skin. Skin cancer from Tanning beds: Limit Teens access? This is far cry from the USA where tanning machines were classified as Class I medical devices, allowing teenagers unlimited access. Believing this access to be increasingly dangerous with the rising incidences of not only the lethal melanomas, but also the squamous cell and basel cell carcinomas, the move to have them reclassified as Class II is one step forward to limiting their access. 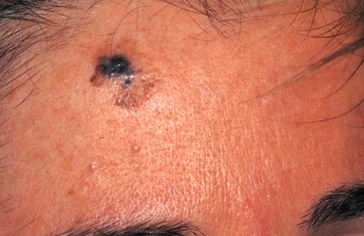 In an issue of The Skin Cancer Foundation Journal, Philippe Autier, MD, MPH, former head of the International Agency for Research on Cancer (IARC)'s Prevention Group, pointed out that there is "considerable data pointing to childhood and adolescence as the key periods for initiation and development of melanoma in adulthood." The IARC has cited research showing that any exposure to tanning beds while young actually increases melanoma risk by 75 percent. Laws regarding minors' access to tanning beds currently vary from state to state, with some even allowing children under age 14 to tan indoors if they are accompanied by a parent or guardian. I am all for this new warning label requirement, but agree with The Indoor Tanning Association, in that once people have been given all the relevant health information, it is then up to them as to how they manage their lives. The risk is always in overdoing the tanning beds - just as it is with many other things like smoking, eating, or drinking. The State cannot get into being a nanny to everyone. The more that people are encouraged to take ownership of their own lives, the better off they will be. Becoming sun hermits is not the idea though! I believe in embracing the sun's wonderful qualities in a controlled outdoor lifestyle. If a tanning bed is part of this process, I advocate careful choice of tanning beds with UVB rays only and no UVA rays. The overall risk increases with increased UV exposure.